THE venue of this year’s annual general meeting was Winchester on July 6th and, surprising as it may seem during this terrible summer, the sun shone brilliantly on us all day. Ringing took place at surrounding towers during the morning with two routes converging on the Cathedral. The business meeting was held in St. Maurice’s Hall and, in the unfortunate absence of the Master, Canon K. W. H. Felstead, the first item of business was the election of a chairman for the meeting. Mr. R. R. Savory was asked to perform this duty and. on assuming the chair, welcomed the 75 members present to Winchester. After the minutes of the 1967 annual general meeting had been read and accepted, the treasurer, Mrs. Margaret Chapman, presented her report, which showed a highly satisfactory financial situation. The report of the peal recorder, Mr. D. T. Matkin, contained a total of 57 peals rung during 1967 and in this period 24 members rang their first peal - a very healthy sign. As our junior representative, Mr. R. R. Savory related the proceedings of this year’s Council meeting, giving the meeting some insight into the background of the reports published in “The Ringing World.” Two points soon became clear - that “The Ringing World” issue had dominated the meeting and that few had understood the Doubles resolution. Following Mr. Savory’s report, some discussion look place regarding “The Ringing World” and its finances. The Guild decided to send a donation of ten guineas, but not without some opposition. Mr. Chapman thought that the paper should be costed correctly and the sum charged. Those who did not take “The Ringing World” should not be asked to subsidise those who did. The general secretary’s report indicated an increase in membership and activity in most Districts during the year. The District reorganisation had come into effect on January 1st this year and results of these changes were awaited with interest. A proposition was before the meeting in the names of Messrs. Haines and Cope to the effect that a minimum ringing standard should be made a condition of Guild membership. Due to a misunderstanding in the communication of this motion to the general secretary, there was some confusion as to what the exact wording should have been. After a short discussion the meeting moved to the next business on the proposition of Mr. F. Bailey, seconded by Mr. M. Thomas. Grants towards work on the bells of Upper Clatford and Crawley of £20 each were approved. Mr. A. V. Davis reported on the arrangements so far for this year’s striking competition and on the work he had done towards obtaining a suitable design for certificates for the winning teams. The venue and date for the 1968 annual general meeting were agreed as being Christchurch and July 5th respectively. The meeting then moved to the triennial election of officers. Two nominations were received for the Mastership, Mr. R. R. Savory and Canon K. W. H. Felstead. Mr. A. V. Davis was also proposed but indicated that he did not wish to stand. On being put to the vote Mr. Savory was elected. Mr. Savory paid tribute to the work of Canon Felstead as Master over the past six years and, with the approval of the meeting, asked the secretary to write to Canon Felstead recording the Guild’s thanks. Introduced to the art by the late Charles A. Binyon, Roger started ringing in his home parish church at Badsey in Worcestershire’s Vale of Evesham in 1945. His first peal was Grandsire Triples, rung at Upton-on-Severn in 1946, conducted by the late Charles J. Camm. From 1949 to 1951 National Service in the Royal Navy took Roger to Kent and Essex and, between time at sea, he gained much valuable ringing experience with the bands in those areas. 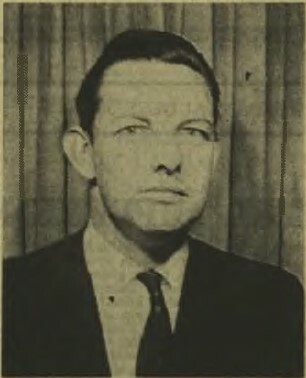 He was elected a member of the Ancient Society of College Youths in 1950. In 1951 Roger entered a degree course at Birmingham University, graduating with Honours in Chemical Engineering in 1955. During this period the Birmingham University Society of Ringers was formed, of which Roger was the first Master, calling the first peal for the Society in 1955. Following graduation he took a position with Esso Petroleum Co. at Fawley, Hampshire, and joined the prolific 10-bell band at St. Michael’s, Southampton. Roger has held the following positions in the Winchester and Portsmouth Guild: District Ringing Master (1958-59), Guild general secretary (1959/65). Central Council representative from 1964 and is now elected Guild Master. Roger’s work took him to the U.S.A. for a year (1965/66) and he was able to ring at Washington Cathedral. Groton and Kent Schools. His peal total to date is 281 (cond. 73), ranging from Grandsire Doubles to Spliced Maximus, 132 of which have been rung for the Winchester and Portsmouth Guild. For the post of general secretary Mr. M. Butler proposed the re-election of Mr. D. Forder; this was seconded by Mr. J. R. Faithfull, and there being no other nominations he was declared re-elected. Mrs. Margaret Chapman, who has served as general treasurer for the past nine years, will shortly be leaving the area for Bristol and has thus had to relinquish her post. The Master expressed the gratitude of the Guild to Mrs. Chapman for her work during her period as treasurer and wished both her and her husband, Tom, well in the future. Only one nomination for the treasurership was received, that of Mr. T. H. Francis, and he was declared elected. Mr. D. T. Matkin and Mr. L. Bailey were both re-elected unopposed to the offices of peal recorder and auditor respectively. Two nominations were made for the post of librarian, Messrs. D. C. Jackson and Mr. M. J. Butler. On a show of hands Mr. Butler was elected. The meeting closed with votes of thanks to Canon Moody, who was to take the service in St. Lawrence’s Church, to Mrs. P. Tremeer, the Winchester District secretary, for making the local arrangements, and to the Dean and all incumbents for the use of their bells during the day. The Guild service followed in St. Lawrence’s Church, where the service was conducted by Canon Moody. Tea was taken in St. Maurice’s Hall and a most successful day ended with further ringing on the fine 12 at the Cathedral.